Yesterday, I made a card with my new Stampin' Up set called, 'Timeless Textures'. 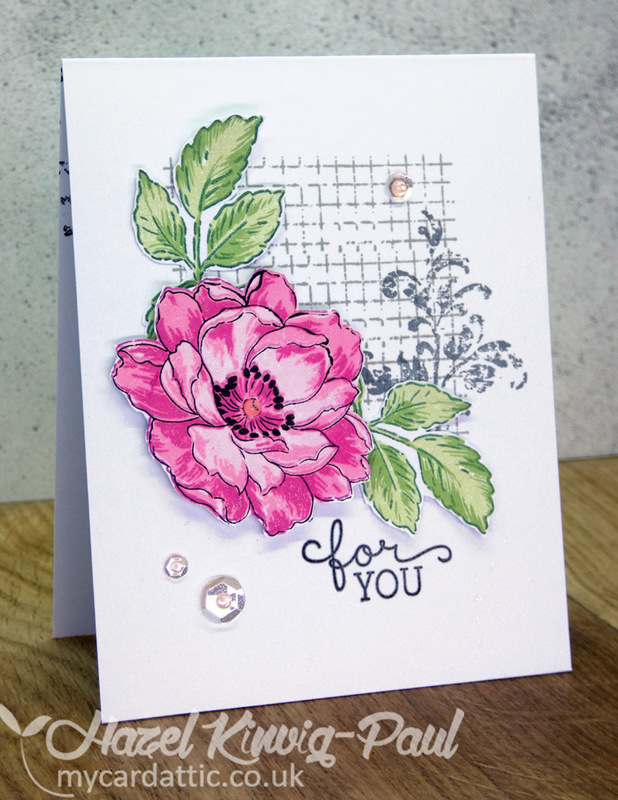 I have long admired the cards that have been made with a collage of textured stamps and wanted to give it a try! Here is my attempt, explanation below pics! I started with a plain, white card base and stamped the little 'grid' stamp three times in a grey ink. Then, I stamped the little, distressed flourish in the right hand corner. Next, I took, what is rapidly becoming my 'go to' flower and leaves, 'Altenew's - Beautiful Day' and arranged them over the stamping. 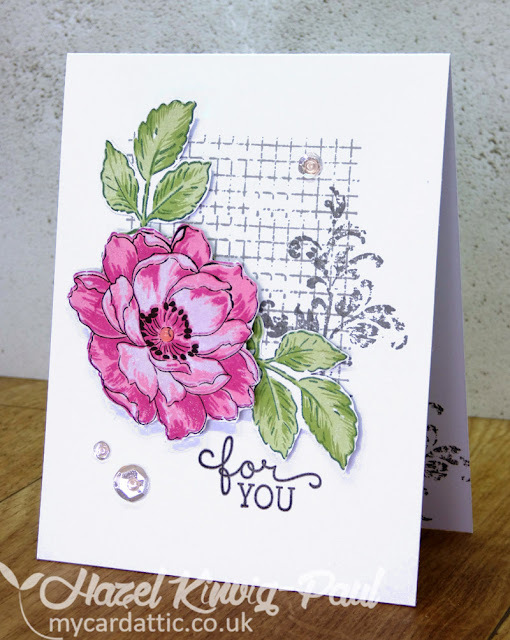 I finished by stamping the greeting in the same grey ink as the other stamping and adhered a few sparkling sequins. I was quite pleased with my very first (unadventurous) foray into collage stamping, maybe next time I will be a little more adventurous with it! Looks wonderful Hazel a perfect first try. Did you fussy cut the flower ? 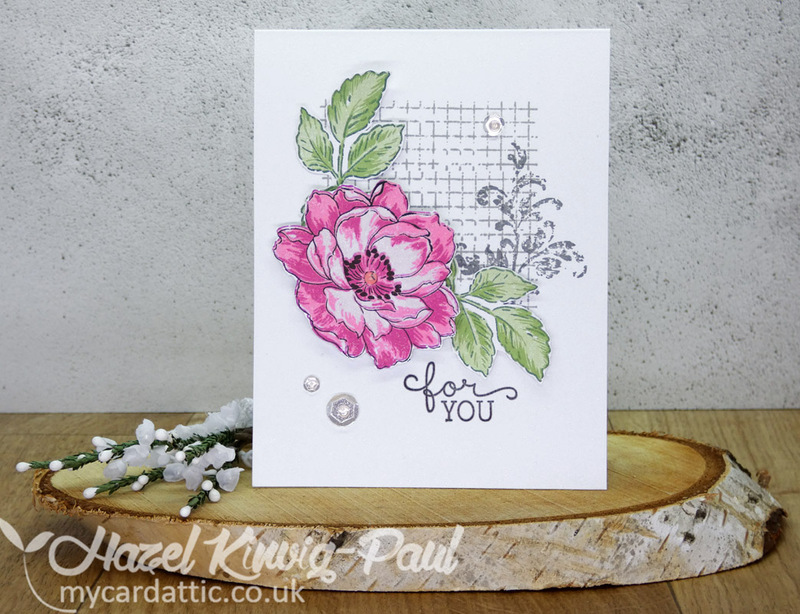 Hazel, you need to jump in more...this is such a lovely collage with textures and such interesting bits. Love this card. Your collage background is perfect, Hazel! Just enough to enhance this gorgeous flower! 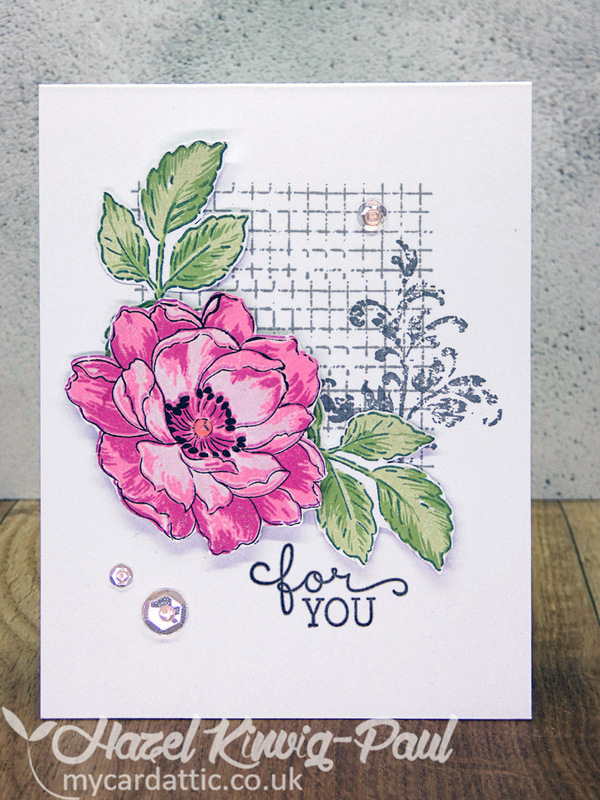 Those texture stamps in grey make a fantastic background for your lovely flower and leaves! Thanks for the inspiration! 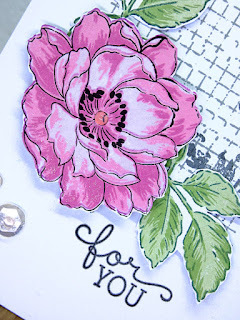 I love this stamp Altenew. It looks amazing on this complex background. 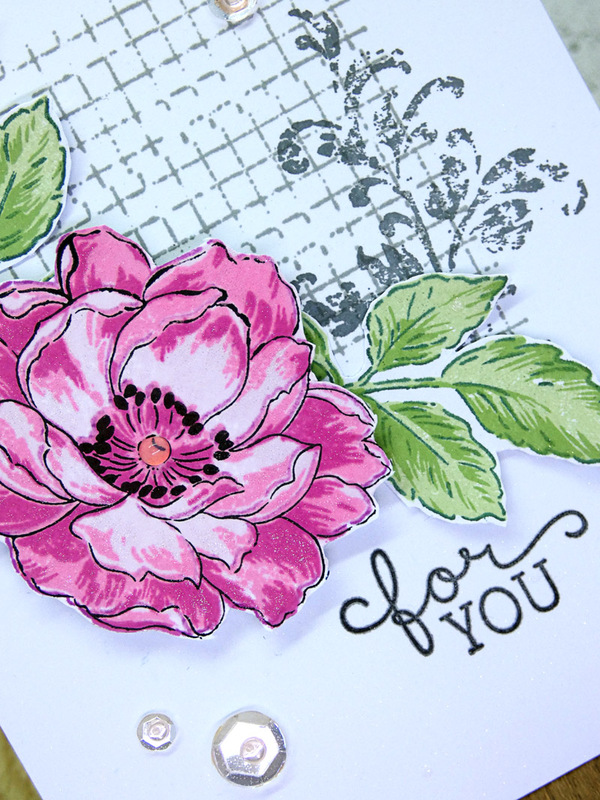 Beautiful idea and great color combination.